Raksha Bandhan 2018 is near and if you had not prepared anything yet for your sister then you need to hurry up. It is always been said to work for a special surprise, at least 10-15 days ahead of that event because you need to think of a great idea to surprise your sister. Gifting her the same old stuff might make her happy but she would not be surprised. There are numerous ways to surprise your sister this Raksha Bandhan. If chocolates are her favorite then you can gift her some imported chocolates an d, not the usual ones, or a beautiful trending dress or movie tickets and a lunch. Whatever you gift her, present that thing nicely as a nicely presented surprise has more intensity in it. Also, you can add some Raksha Bandhan quotes along with the surprise box. 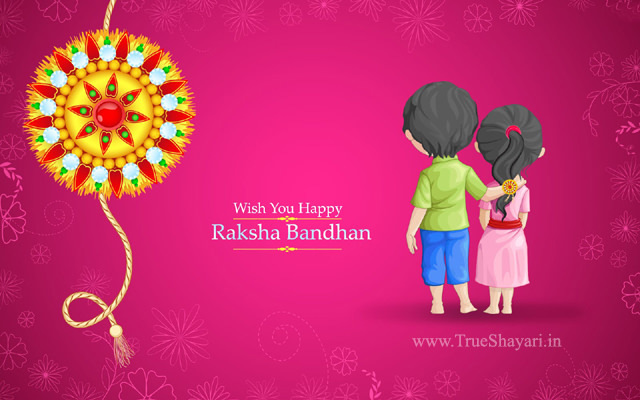 You will find Happy Raksha Bandhan quotes in English with rakhi wishes & messages easily on the internet. 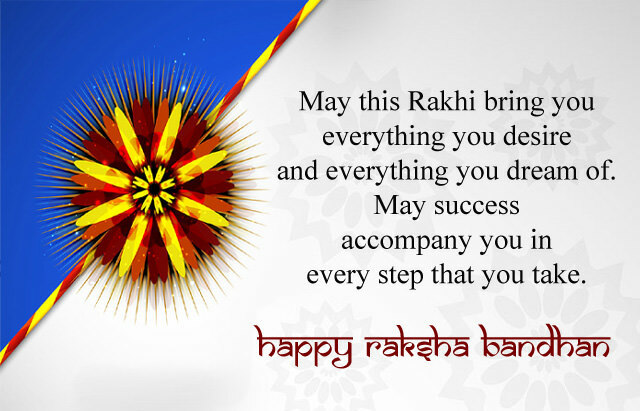 Happy Rakhi quotes for siblings (bro & sis) with beautiful message. Bhaiya, I may have a lot of friends but none of them is as close as you. Thanks for always being there whenever I needed you the most. Brothers & Sisters Fight like cats & dogs. They also teach & learn And grow together. Looking out for one another in the best of times and through the worst in the end. Sometimes our best friend can be a Brother or a Sister. & this day is certaily RAKHI. And My Love Will Always Be With You. The warmth of your love is all I need during cold times. Happy Rakhi Didi. There is something special about being a sister to brothers and seeing them soar in all aspects of life. Happy Rakshabandhan. On this Raksha Bandhan I remember the lovely moments that we spent together, the high and lows that we face together and the little quarrels we had. Dear sister, you have made each day of my life meaningful. And I wish that You’ll always shower your blessings on me. Sister is someone who is caring and sharing. Sister can understand things U never said. She can understand the pain, which is not visible to anyone. I love my sister.